New proposal would require ‘dynamic scoring’ of major legislation. The night before most everyone in Washington left town for the holidays, House Republicans proposed a set of rules that will govern the House of Representatives in the 114th Congress, which convenes in January. One element of the proposal is something of a Holy Grail for conservatives and anti-tax activists: so-called dynamic scoring of major legislation. 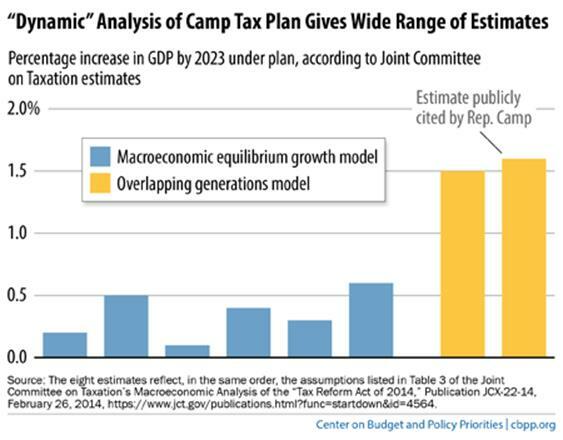 Dynamic scoring refers to the controversial practice of incorporating an estimate of the macroeconomic effects of policy changes like tax cuts into the assessment of the impact that a new law will have on the federal budget. Related: Exit Elmendorf, Enter a New, Politicized CBO? The concept sounds quite reasonable, because most assume that changes to the tax code will have an impact on how people spend, save and invest their money. But most economists have balked at the idea of requiring a forward-looking macroeconomic analysis of tax cuts, because those analyses are extremely complex and prone to error. The move comes as Republicans have reportedly determined that they will not reappoint Congressional Budget Office Director Douglas Elmendorf to another term. CBO directors of both parties have resisted calls to implement dynamic scoring over the years, and prominent voices on both sides of the aisle have warned against the appearance of politicizing the CBO, which has a long-standing reputation for non-partisan analysis. For their part, Republicans seem certain that dynamic scoring will make it easier for them to pass tax cuts. The thinking, commonly called “trickle-down” economics, is that by reducing the tax burden on businesses and individuals, more money will be put to work in the economy, generating increased tax revenue and ultimately replacing some, or even all, of the revenue lost to the tax cuts. Why This Matters: Dynamic scoring of federal tax and budget bills could well make it easier for Republicans to justify large tax cuts next year. But many economists worry that inaccuracies in the modeling of macroeconomic effects could result in economically damaging fiscal policy. Assuming that tax cuts, in whole or in part, pay for themselves, makes it easier to cut taxes because from a budgetary perspective, they look as though they don’t cost as much in terms of the federal deficit and debt. “Elected officials can’t strengthen the economy if they don’t even know how their decisions affect the economy,” wrote incoming House Ways and Means Committee Chairman Paul Ryan (R-WI), who has long advocated the use of dynamic scoring. He noted that the rule change would apply only to bills with a large economic impact, described as a “handful” in each Congress. Many such models include assumptions about the future that are “not supported empirically and may be unlikely,” the report added. Democrats in the House reacted angrily to the announcement of the rules proposal, warning that it would favor the rich and undermine fiscal responsibility. “The Republicans’ ‘trickle down’ economic theory – that tax cuts for the wealthy will eventually trickle down to the middle class – has a long and proven record of failure,” said Rep. Chris Van Hollen, the Maryland Democrat who serves as ranking member on the House Budget Committee.